Although it is accepted to call it Taiji or even Tai Chi, the proper name of this skill is called Taijiquan (Tai Chi Chuan). Taijiquan literally means “Yin/Yang fist” . Taiji is the Chinese Pinyin spelling but the pronunciation sounds like “tie-jee”. Many people decide to study Taijiquan because they have heard that it is good for health. Others may decide to study because they have seen someone practising and are attracted by the movements. Others may begin Taijiquan because they have heard that it is a very good martial art skill. Either way, your studies in Chen Taijiquan will be fascinating and varied. There are many different styles of Taijiquan and these are like branches of a tree. However, it is said that all Taiji developed from the Chen family, so this is the root of the Taijiquan tree. The Chen family Taijiquan was originally developed as a martial art skill over 400 years ago by a man called Chen Wang Ting who lived in Chenjiagou, Henan Province, China. 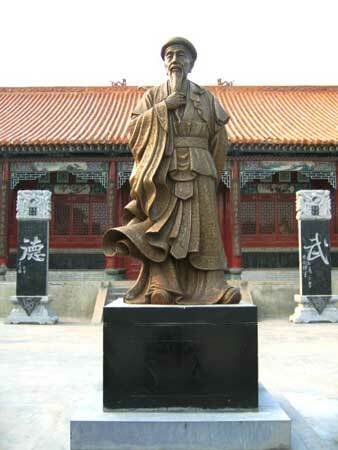 He was actually a famous warrior who lived at the end of the Ming Dynasty (1368-1644 A.D.). He fought against the government and was reputed to have defeated more than 1,000 bandits. However, when the Ming government was finally deposed by the Qing, he retired back to his village to become a scholar and develop his martial art skills. 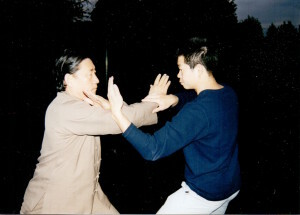 Later Chen Wang Ting created the form Laojia (meaning Old Frame), using some movements from Qi Jiguang’s Long Fist form which can be found in the classic, “32 Forms of the Canon of Boxing” and combining it with principles of the Daoist scripture, “Wang Ting Jing” which was a manual on breathing. From these, he created the skill of Taijiquan by combining both movement with the Daoist principles of the Yin/Yang theory and that harmonising the breath and Qi. The Chen Taijiquan skill was passed down from generation to generation within the Chen village and continued to develop and more forms were created. Still, it was a closed skill only taught to Chen family members. It was only in the fifth generation of the Taijiquan skill that it was passed to anyone outside of Chenjiagou. This was to Yang Luchan (1799-1872) who was taught the skill by Chen Chang Xing (1771-1853). A monument to Yang Luchan and his sleeping quarters still survive in Chen Village today. Chen Chang Xing made Yang Luchan promise not to open (teach) the more martial aspects of the Chen skill to the public. So when Yang Luchan went to Beijing, China, although he taught the Taijiquan he had learned, he left out the more martial aspects of the forms like stamping and Fajing (release power). He made the movements slower and used less spiral energy. Subsequent generations changed the skill even more. Many years later, when Chen Fake was invited to Beijing to demonstrate Chen Taijiquan, people did not believe that it was Taiji because it did not look like the forms they had been learning. Master Tse with his Sifu Chen Xiao Wang. 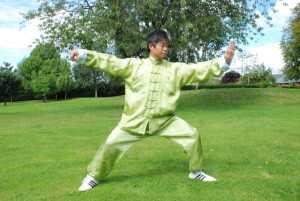 There is no doubt that Taijiquan is very good for your health. This is because the first thing you need to do is relax when you begin your practise. You need to relax both your body and you mind and this is very beneficial to your health, especially in our very busy lives and world. After this you need to keep a good posture. When you have a good posture and are relaxed and your mind is calm, then your Qi can start to flow naturally around the body. In total there are five main principles that will lead you to a good health and a high level of Taijiquan. The Chen family ancestors also left 12 guidelines to help us not only reach a high level in Taijiquan, but to also help us become a better person whom others can respect and look up to.